I read that about 40% of produce in America gets thrown out. I’m guilty of throwing away half a head of lettuce, old avocados, etc. In addition to reducing food waste, I’m also on a mission to pay down my debt this year so I’ve been brainstorming ways to save on groceries. 1/ Buy from bulk bins. Grocery stores including Whole Foods, Smart & Final, and Sprouts carry grains, nuts, spices, trail mix and more so you can buy what you need. I appreciate that I can buy a tablespoon of poppy seeds rather than buying a $5 jar and only use it once or twice. 2/ Find multiple uses for produce items. I bought some frozen artichokes this week and it’s been a fun challenge to find multiple ways to incorporate them into my meals for the week like this recipe and throwing them into an omelette. I love that Chef Julie has this post on multiple uses for lemons on her blog. 3/Dedicate one night of meal cooking and planning for the week. This is so helpful! I typically spend a few hours on Sunday night to get a head start on the week. Going to the crowded grocery store on Monday night and wandering the aisles is no bueno for me. 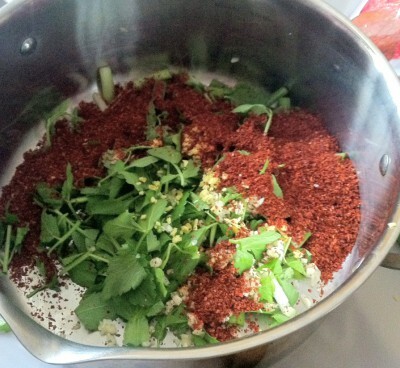 Below is my sister’s photo of her spicy peanut salad she shared on instagram (looking good!). Reliable sites for finding recipes and ideas include theKitchn, DALS, and this blog. 4/Use leftover veggies for chicken broth. Throw them into a freezer bag for future broth. 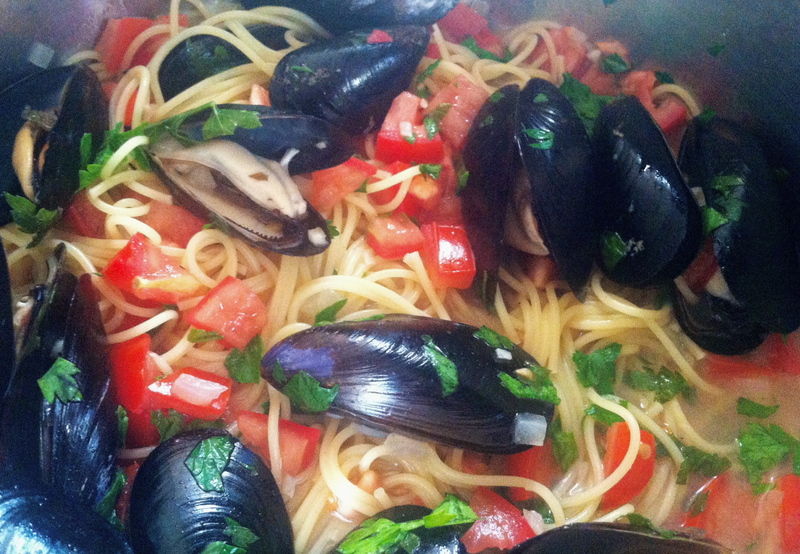 Check out my recipe; homemade broth makes amazing soups, risotto, etc. What are your tips and trips for saving money on produce and other groceries? This entry was posted in Uncategorized on January 5, 2016 by honeyandlimes. Hi there! I took a much needed vacation to Vancouver earlier this month and wanted to share some snapshots from the trip. 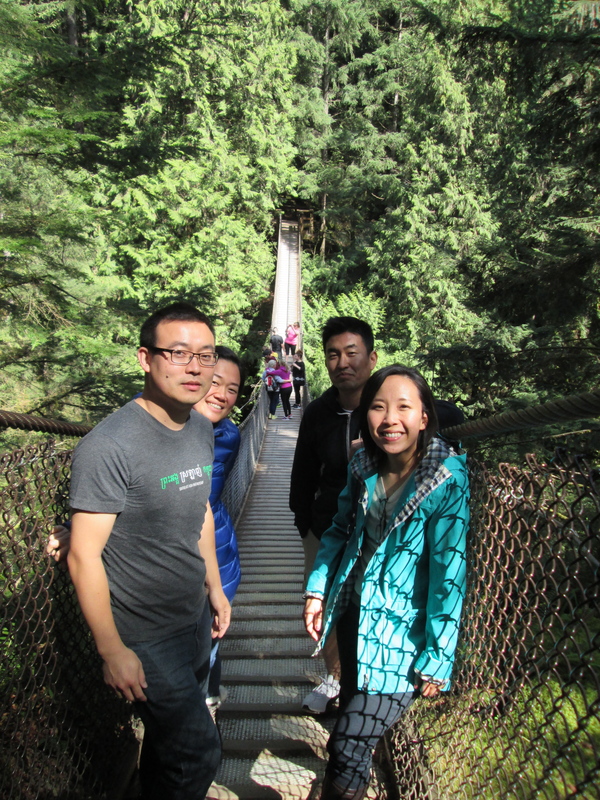 We split up our time between Whistler and mostly exploring Vancouver. Btw, April apparently is a really affordable time of year to visit. Our direct flights were about $200/RT from LAX! What a great excuse to explore this beautiful city. Whistler is about a 90 minute drive from the city and the drive getting there is GORGEOUS! Having lived in SoCal most my life, I’ve never seen so much greenery or water for that matter. Compared to our drought-stricken state there was water trickling down the side of the mountain. O_O Can we import some of the water to our arid climate?! 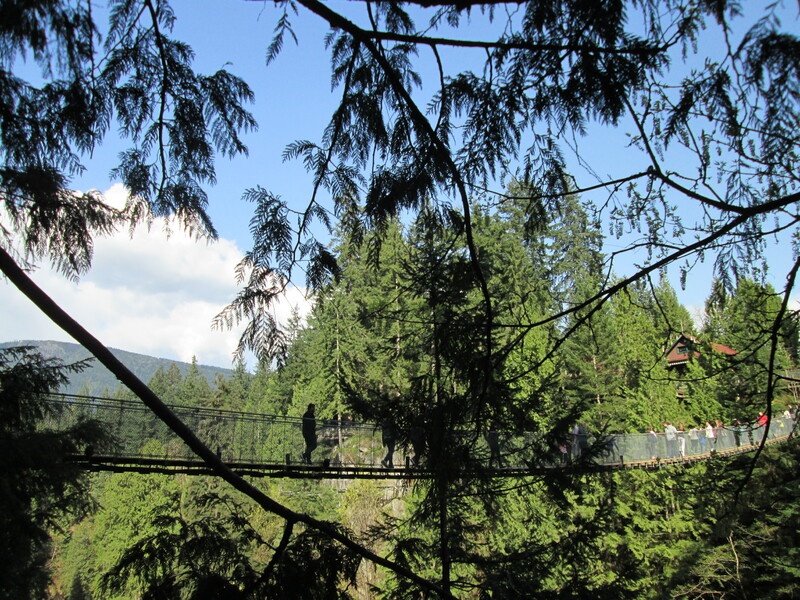 I digress… we made stops along the way and visited two suspension bridges (Capilano and Lynn Canyon), which I highly recommend! 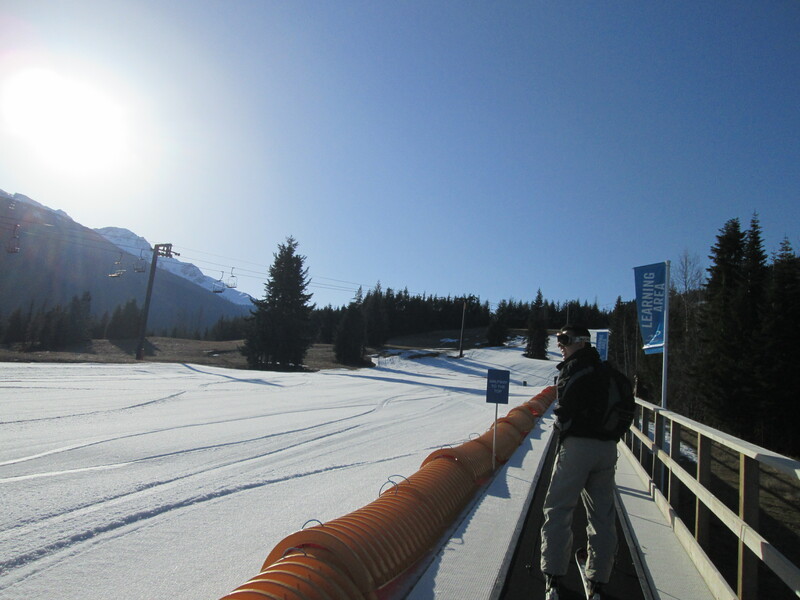 We spent a full day skiing/snowboarding in Whistler which was an adventure for me since it was only my second time ever! I was so concerned with nailing down the basics (thanks to my patient teacher & friends) that I didn’t take the gondola to the top of Blackcomb! =( Just means I need to make another trip there. Btw, the water and air is so different up there! 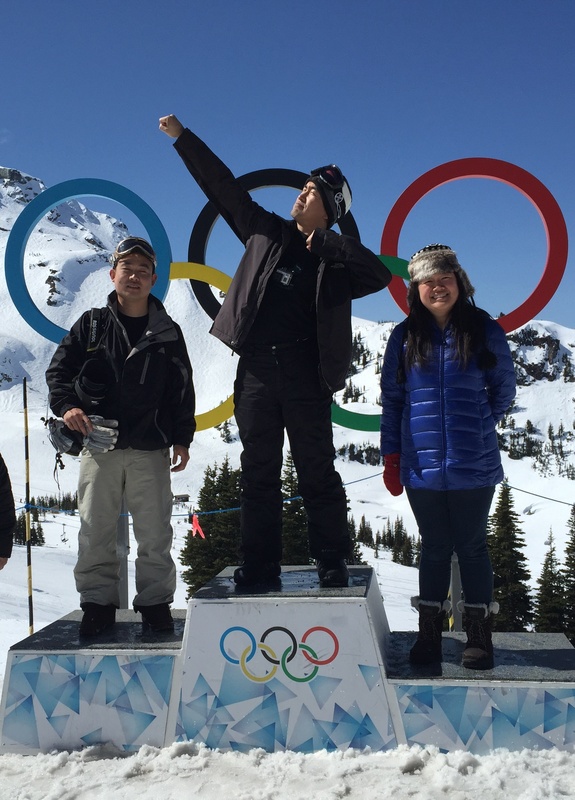 It’s so interesting that Whistler draws visitors and seasonal employees from around-the-world! We met other Americans, Polish instructor, Aussies, etc., and everyone was super nice. Who wouldn’t be happy to live/work/visit Whistler? The Food. Chinese, Indian, American, Japanese-Canadian, Canadian. We enjoyed it all, 5 meals/day. 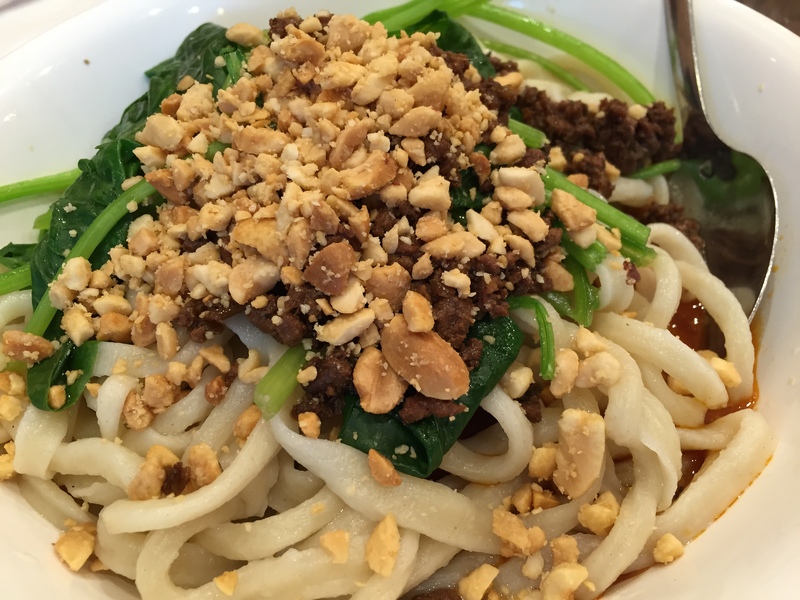 The standouts include Vij’s Indian and Peaceful for Chinese food, although fresh seafood from Granville Island Public Market is a very close 3rd. 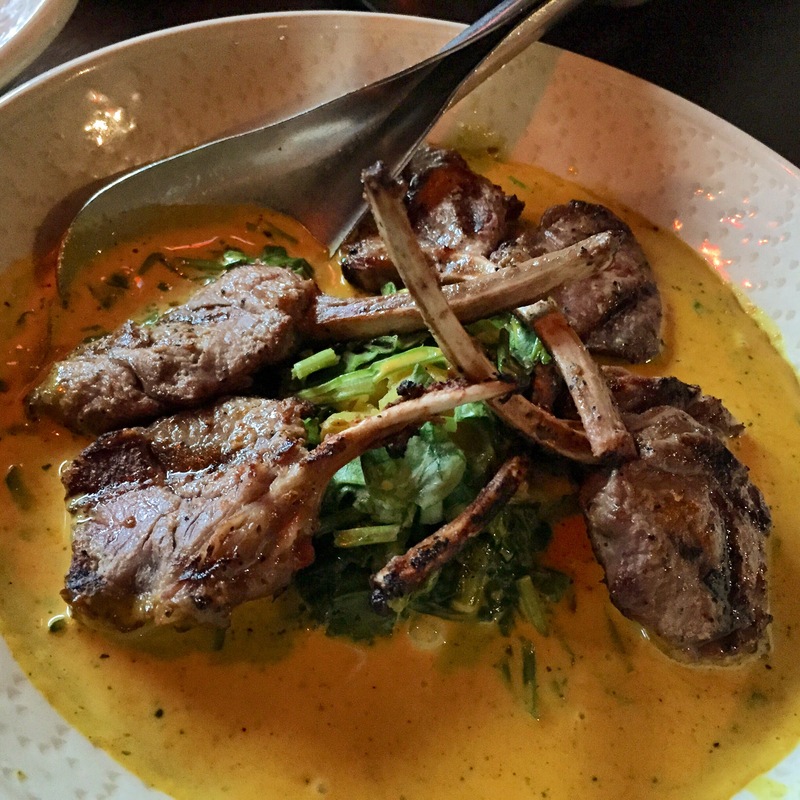 Below, Vij’s lamb popsicles in a curry sauce and Peaceful’s dan dan noodles. 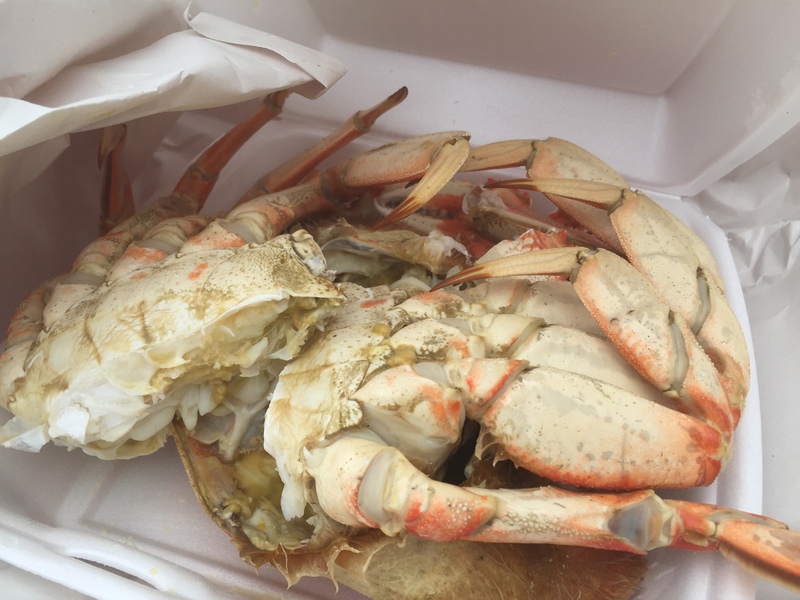 Below that is poutine from Fritz’s (poutine is gravy and cheese curds over fries) and steamed dungeness crab (from Nova Scotia). Sometimes the most memorable travel experiences are the ones you didn’t plan/anticipate! 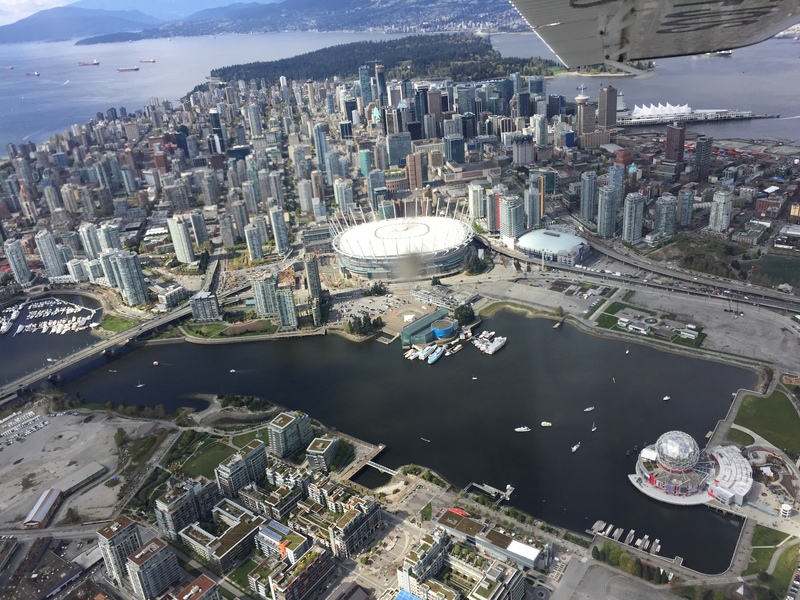 Haha.. we took a 30-min seaplane ride above the city and enjoyed an aerial view of the city, both urban/modern and breathtakingly green! 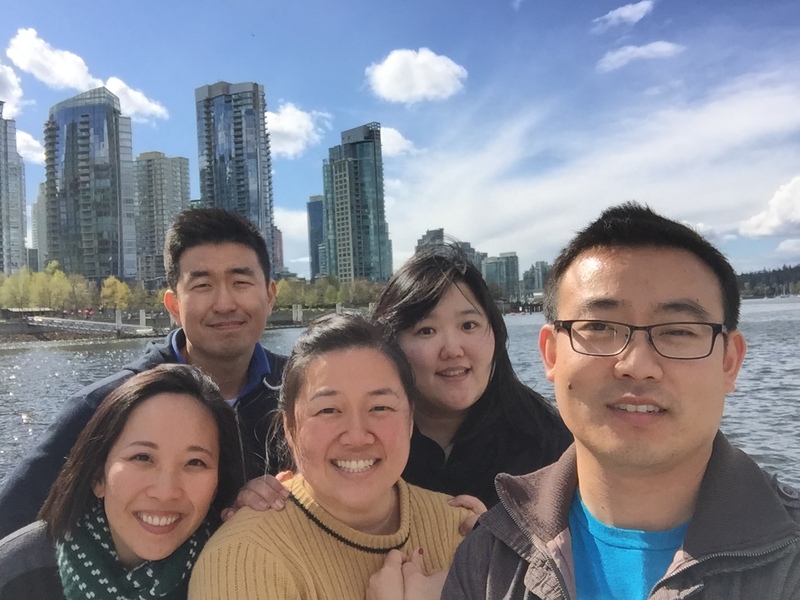 For lodging, we rented an airbnb condo in the heart of downtown (w/a corner view of Stanley Park) which was perfect for our party of 5 that was very affordable and convenient option. Not only was our flight inexpensive, the exchange rate was in our favor (about $1 US = $1.20 CD) which helped too! This entry was posted in Uncategorized on April 29, 2015 by honeyandlimes. 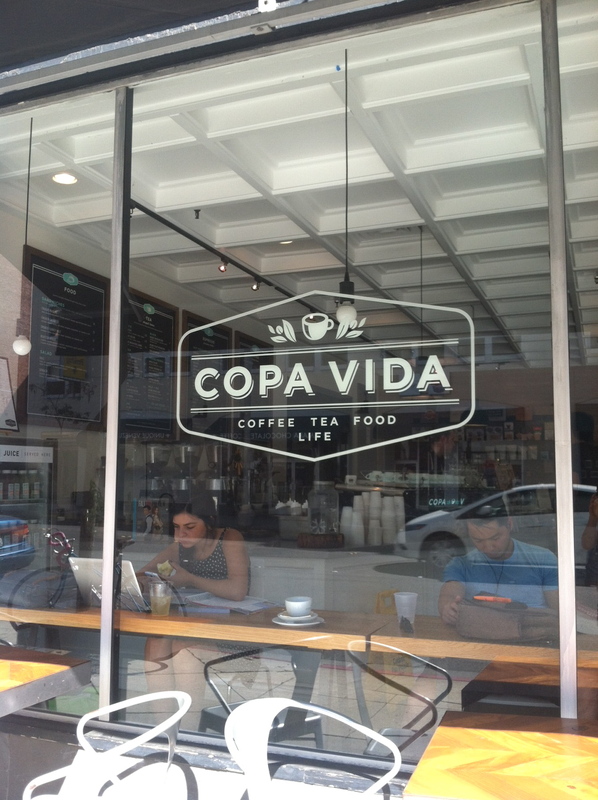 I spent part of last Monday at this charming cafe, Copa Vida in Old Town Pasadena. I originally stumbled upon it about a year ago when they had just opened, looking to get some change for the meter, and enjoyed pistachio kumquat croissant. It was so great to see the cafe thriving having just celebrated their one year anniversary and being embraced by locals and visitors alike. 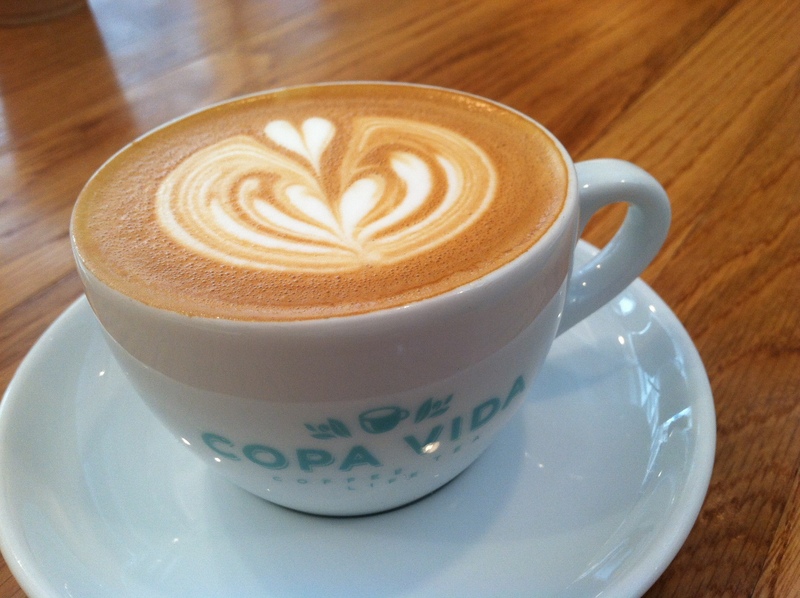 With almost 400 yelp reviews (average 4 stars), this cafe is here to stay (yay!). I definitely need to revisit for brunch (read their croque madame sandwich and kale salad are popular). I was impressed to learn that they bake/make their breads, pastries, and desserts in-house. 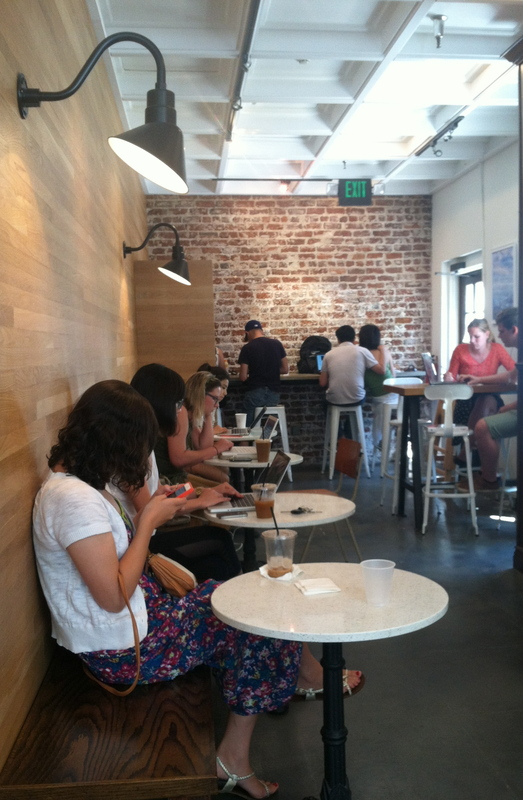 What I noticed about this place on both my visits is the airy and spacious feeling. Great place to catch up with a friend or to inspire creativity (I noticed one guest painting watercolors). My sister ordered the shakerato, an iced espresso drink sweetened with raw sugar and mixed with milk. I had a cappuccino which was incredibly smooth, no sugar needed. Disclaimer: my sister knows one of the staff members (Hi Sam!) and he was so gracious to treat us to a dessert on-the-house. 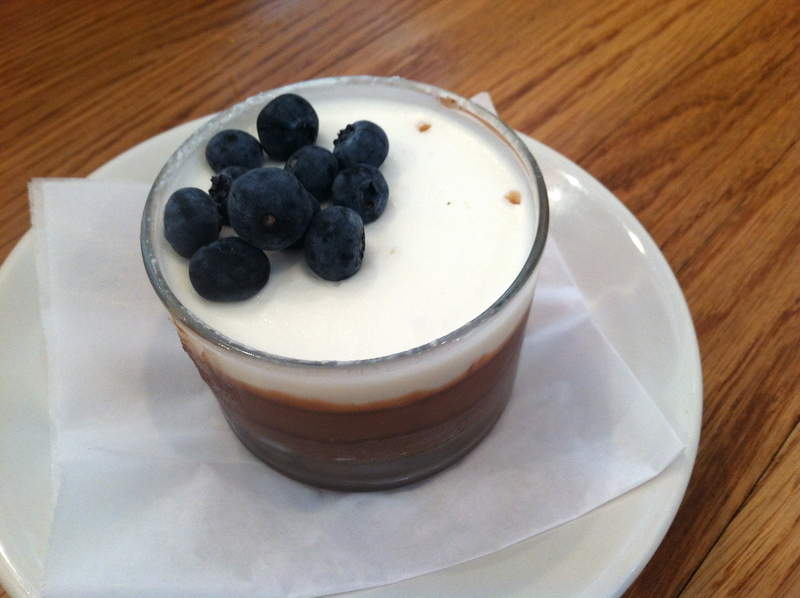 It was a light ‘tres chocolate’ mousse that had a couple layers of crackly bits. Couldn’t put my finger on it, whether it was spun sugar or some other confection. Whatever it was, I had to refrain from licking the bowl clean. Would be perfect with a cup of tea. This inviting space has plenty of seating with the back room serving as an informal study area during my recent visit but I’ve read that it’s used for hosting special events as well. 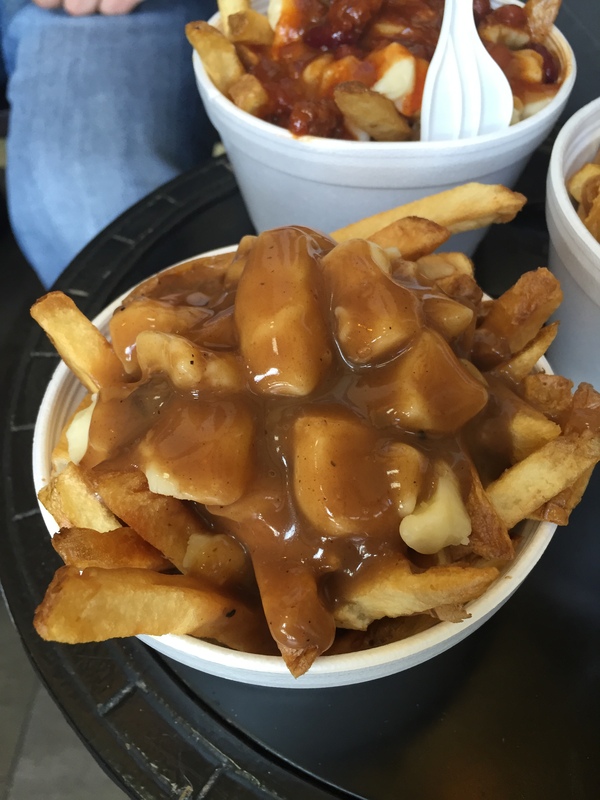 The coffee shop was also featured on a blog, Steamed Not Fried so check out their review. 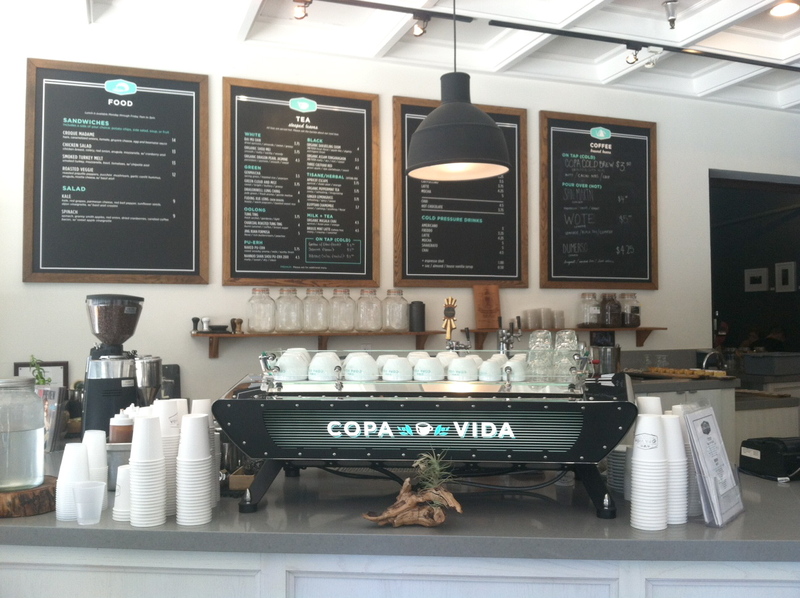 They also feature upcoming classes and events like live music on the weekends on their instagram, @copa_vida and facebook page, so check them out. 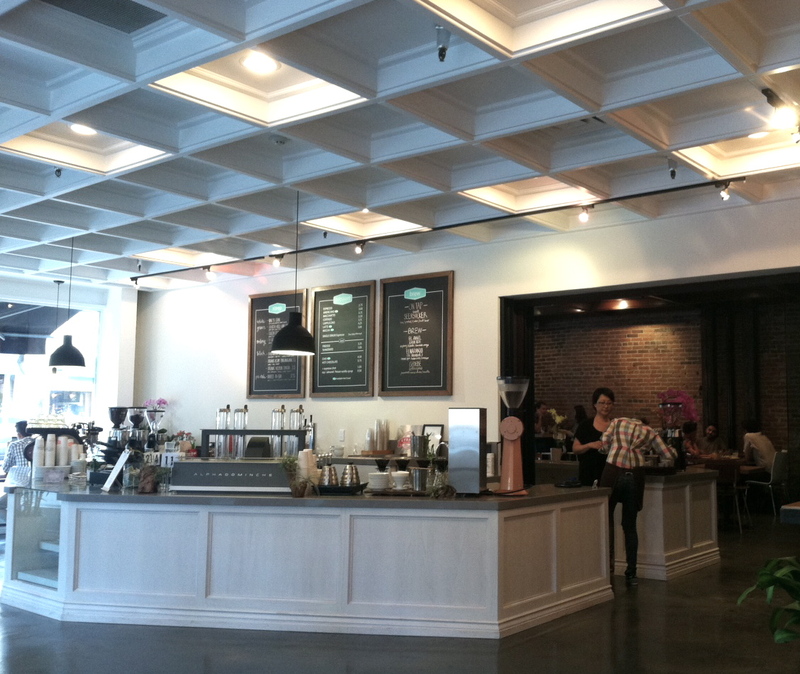 This entry was posted in coffee, cool neighborhoods, dessert, restaurant reviews on September 6, 2014 by honeyandlimes. 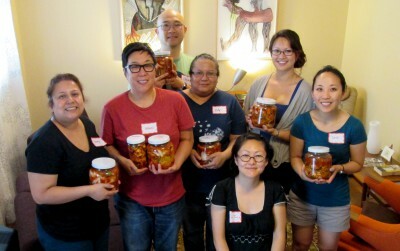 Last weekend I took a kimchi making class at the LA home of a Hae Jung Cho, professional chef and master preserver. I had a blast learning how to make 3 types of kimchi: poggi (whole napa cabbage), kkakdugi (diced radish), and oi muchim (cucumber salad). 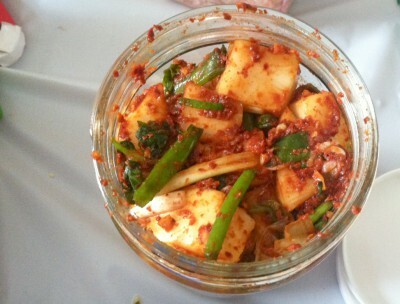 Learning how to make poggi kimchi gave me a newfound respect for the generations of Korean women that make it. Although it was a lot of work, I enjoyed the experience and getting my hands dirty with Korean red chili powder, garlic, ginger, and learning the names of the herbs that go into the sok (or ‘filling’ of the poggi kimchi). I always see them at the Korean supermarket produce section but never know what dishes they’re used in. I definitely plan on making the oi muchim and kkakdugi as both were very easy and not labor intensive. Not sure if I’ll make the poggi kimchi again, at least until I live in a home with storage space for ginormous size mixing bowls (that I can easily fit in). I told my mom about the experience and she said, Don’t make poggi kimchi, it’s too much work. Just buy it!. For reals, mom. 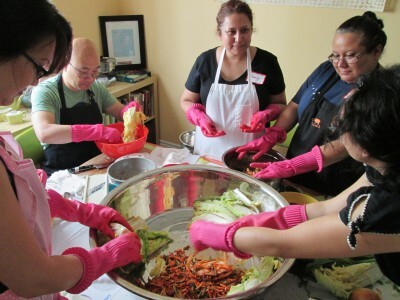 If you’re in the LA area and interested in taking a kimchi making class or Korean market tour, check out this interview with Hae Jung Cho where it also lists her contact info. The beauty of the internet, that’s how I learned about her kimchi making class. 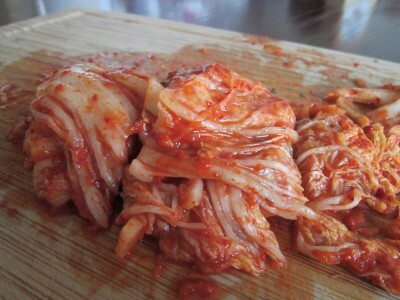 This entry was posted in Uncategorized and tagged kimchi, poggi kimchi on August 10, 2014 by honeyandlimes.